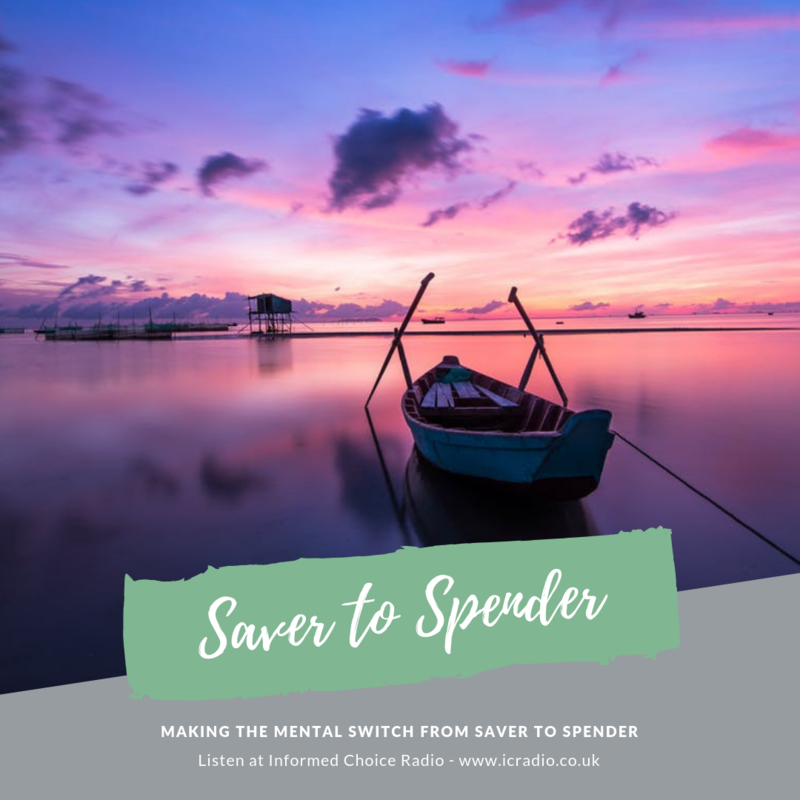 At some point in your life, you’re going to have to switch from being a saver to being a spender. This usually happens as a result of that big life event that is retirement. And it’s a huge mental shift. 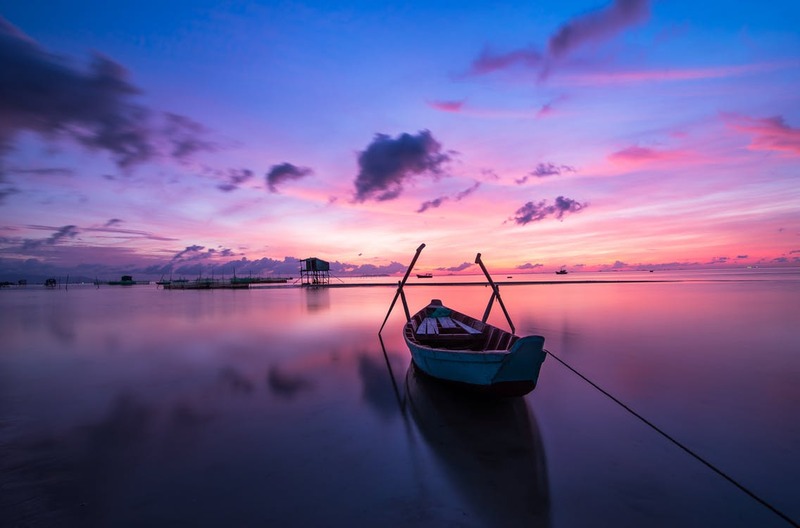 After a lifetime of forging a savings habit, giving that up and spending your savings instead of adding to them can be at once unsettling and uncomfortable. 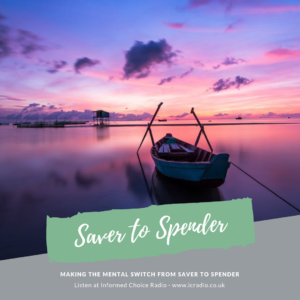 In this episode, some suggestions for making that mental shift from saver to spender. -Households spent an average of £572.60 a week 2018, according to the latest official figures. The Family Spending Survey from the Office for National Statistics found that more families are borrowing or using their savings to maintain their spending levels. -Spanish owned banking group Santander has announced plans to close 140 branches, placing more than 1,200 jobs at risk. The branch closure plan represents around a fifth of its UK branch network. -Martin Lewis, founder of MoneySavingExpert, has withdrawn his legal action against social media giant Facebook. He made the claim after Facebook ran a series of ads falsely claiming he was backing a number of investment schemes. -HM Revenue & Customs have issued an apology to taxpayers after making mistakes over late-payment fines. The taxman last weekend denied having fined taxpayers for failing to submit their self-assessment returns online, nearly two weeks ahead of the tax return deadline. -Chancellor Philip Hammond has told business leaders in Davos that Britain is a great place to do business. He made the speech at the World Economic Forum as he announced a further £100m investment for research and technology.